Royal Panda is another emerging online casino and they have been one of the most exciting of the new breed of casino that have hit the market over the last couple of years or so. What Royal Panda are going to offer up is a unique look at how casinos are now portrayed, with exciting graphics, great games databases and welcome bonuses that will rival the majority of the biggest players in the online casino industry. Royal Panda have been a company that’s seen exponential growth over the last couple of years. Generally, this is seen as a huge positive for a casino such as Royal Panda as means that are being able to reach out to their target market in an attempt to get them to sign up. Whilst there is little on the background of the company available, we do know that they are part of a team with over 2 decades of experience in the online casino industry and this clearly shows from the offerings that they have already provided. The company look set to make some big strides over the next couple of years if the previous 12 months has been anything to go by and could be a real one to watch moving forward. 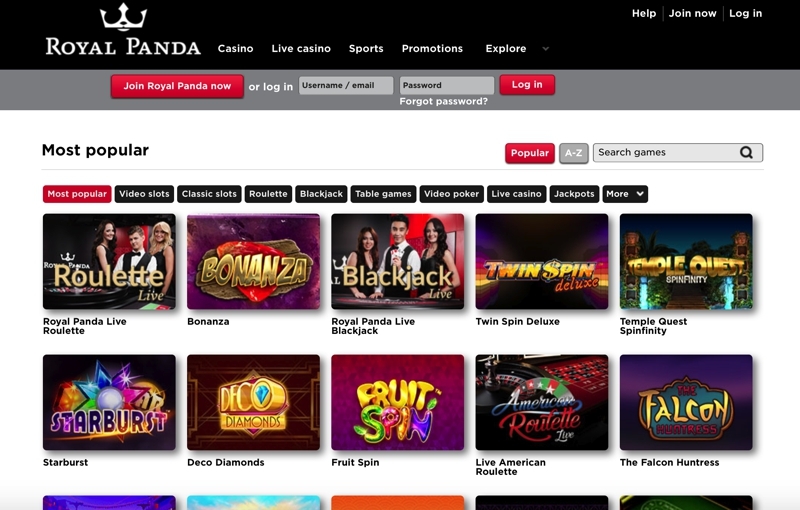 The Royal Panda Casino is powered by Microgaming, NetEnt and Rabcat, giving them access to some of the best designed and highly powerful casino games in the industry. The first thing that really struck was the number of slots on offer. 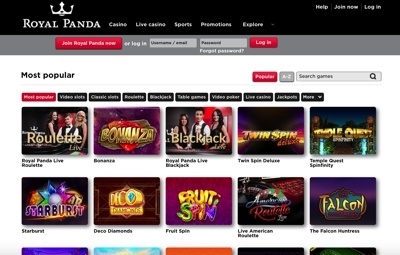 We know that Microgaming and NetEnt have huge back catalogues of slots on their own and to tie them together means that essentially royal Panda will have access to over 1,000 slots. They have chosen to add around 300 of these, which we don’t actually think is a bad thing, as it’s obvious they have taken time to consider which games they think will be best for the punters. The jackpot section is pretty impressive with over 20 different titles to choose from. The games are impressive also with Mega fortune, Mega moolah and Major Millions, the three biggest jackpot games in the industry, all on offer. Finally, we wanted to point out that you can now play Royal Panda casino via your mobile device. There isn’t a download version available, but you can access the mobile optimised site from your smartphones browser simply by visiting the site. It’s worth pointing out that there are only 170 games on offer from the mobile site, but a lot of the more common and higher profile names are all on offer.